I think it’s pretty safe to say that people are psyched for the next chapter in XCOM. A new trailer yesterday showed off some of the new agents you’ll be fielding, from war machines to mutants, and Enemy Within is looking pretty massive. So massive in fact, that it could not just be released as mere DLC on console according to its developers. Currently, Enemy Within will be released on PC in DLC form, but the only way to get the game on Playstation 3 and Xbox 360 is to buy the Commander Edition. That;s a retail version that re-releases the first game, several add-ons and Enemy Within. According to Fireaxis Games senior producer Garth DeAngelis, that’s because the new game is just way too big for DLC. "For the expansion on the PC, it was fairly straightforward," DeAngelis said to Joystiq. But when it came to the consoles, it was too big. If we wanted to deliver the same content to the console players, we had to do it this way as a standalone expansion on a disc. We couldn’t simply just patch it in. 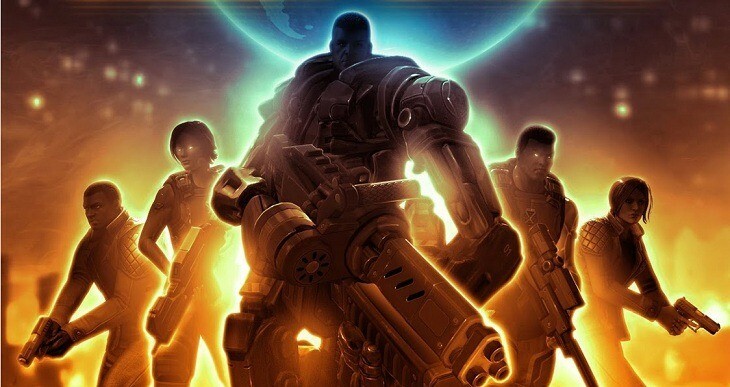 And because of all the changes that Enemy Within brings to XCOM, such as skills, upgrades and units, this was something that Fireaxis had no choice in doing because of technical limitations on console. These things are tied deeply into Enemy Unknown so we wanted to release [the Commander’s Edition] as sort of the ultimate edition, with all the previous DLC on this one disc. It was either deliver it this way or not deliver it at all. I can understand why Fireaxis has taken this path. On PC, you’ve got the luxury of installing games, with the architecture of that system being far friendlier to DLC that rewrites gameplay mechanics. On console? Not so much. Most folks still play straight from the disc, and even if you do back the game up on a hard drive, it’s not in the same might manner that PC gamers are accustomed to.